ERP system implementations are often challenging and lead to several problems during and after the introduction. Although user involvement is considered as an important success factor, industry case-studies indicate a lack of understanding of the process as well as methods and tools to mediate it. The fact is that if an ERP system is difficult to use, it is most likely to fail. This makes it essential to re-look at the ERP design from an end-user's perspective and understand what the new age user wants. The new age ERP-user is totally different from his predecessor. He is from the large numbers of millennial- familiar with the user-friendly interfaces found in today's smart environment. The new age user has information at his finger-tips; he is flooded with options of better and faster devices, mechanisms and applications. His style of operating is not limited to a remote desktop device but mobile and smart devices too. ERP design has to evolve around this new age ERP user's needs, requirements and aspirations. To understand this aspect in depth, the entire ERP development life cycle has to be re-looked at. In the new scenario, implementation of the ERP system cannot be limited to the full software development process in which the requirements of customers and users are specified in one go and taken into account. Rather, the entire process has to develop along with the new evolving business processes, technological advancements and the ERP system. While doing so, the traditional ERP modular design approach too needs to be re-looked at. The traditional modular ERP design is inadequate to cater to the modern requirements. As processes evolve and requirements alter, modular designing becomes more complex. Designers need tools that represent the overall structure in its entirety so that they can analyse and discuss it independent of the details of any single part. In such a scenario Contextual Design fits the bill. Contextual Design is a user-centric design process that uses in-depth field research to drive innovative design. It includes techniques to analyse and present user data, drive ideation from data, design specific product solutions and iterate those solutions with customers. The design is an evolved methodology to help teams design for the way technology now fits into peoples' lives. Contextual Design broadly consists of three phases. In the first phase the design team immerses itself in the life of individual users through field visits and interprets the data using models to show a big picture of the whole market. Second, the team uses that big picture to drive ideation, inventing new product concepts from the user data. Third, these product concepts are designed with concrete user interfaces and behavior, which are tested and iterated with users. Contextual Design also follows team-based approach and takes advantage of all cross-functional teams. It includes all specialties in the design development such as product management, marketing, product architects, user interface designer and service designers, each providing their unique skills and insights to help invent the right solution for users. The underlying philosophy behind Contextual Design is for every participant to immerse in the life of the user and understand the finer points of his requirements. That deep, intuitive feeling for the users and their world is carried through the whole design process and realized in the final product. This working style prevents any design bias which usually comes from the designer's side. A designer loves technology too much and sometimes knows too little about specific work-domains, he therefore tends to include features which may not be relevant to the end-user. This drawback is overcome in Contextual Design by the continual immersion working style. As designers get the real feel of the lives of their users, they create more relevant products. The outcome of these practices is an intuitive system in hand which mirrors exactly the way end-users operate in their work environment. These aspects showcase themselves even in the UI design making it more appealing for end-users. This motivates the end-users to use the system and once the system wins the confidence of the users, half the battle is won. For a Contextual Design to evolve and emerge as an effective working product, it also requires the right framework which has a blend of modern technologies that are implemented effectively. Moreover it needs a flexible yet robust platform to support it. 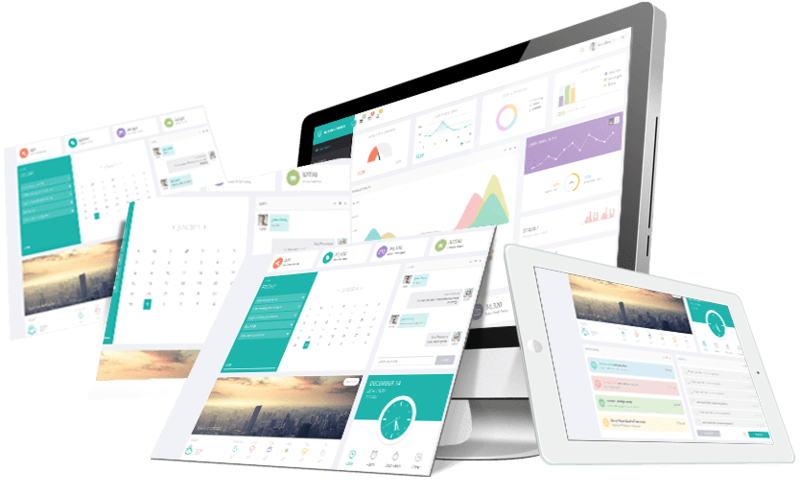 CloudIOPlatform has the right blend of all these factors that makes it possible to design and deliver contextual design based applications in swift time, with low TCO and a near zero maintenance cost. At CloudIO, we have witnessed some astounding results with Contextual Design. Our novel and creative user-interfaces based on this design have broken the barriers of communication between end- users and the ERP system. The intuitive design that we have developed in some of the interfaces has won accolades and appreciation from different quarters of the industry. It has also helped our client's increase their ERP usage among their workforce, thereby helping them set desired practices, streamline operations and garner increased results and better ROI from their ERP. Contextual Design Model by Karen Hotzblatt, Hugh Beyer, Publisher Morgan and Claypool. References: Contextual Design Model by Karen Hotzblatt, Hugh Beyer, Publisher Morgan and Claypool.